First of all, my sincere apologizes for the lack of news recently on John Woo and everything WOO, the Woo camp has been pretty quiet lately with all the hype on Mission Impossible 2 finally dying off. As always this page will focus on Woo's current involvement and more frequently, the release of Woo's films on the home entertainment format whether it's DVD,VHS,LD or even VCD. 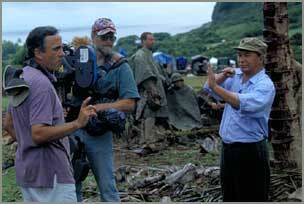 Any additional news on John Woo are always welcome ! Click here to access last year's news. Hong Kong Legends has signed a major deal with Golden Princess to secure the home video and theatrical rights to seventeen HK classics including four of John Woo's HK masterpieces. 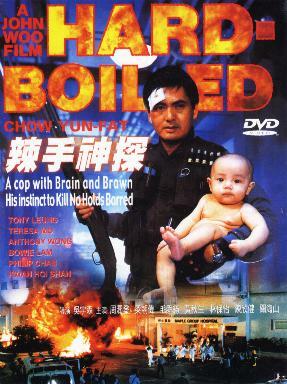 The reputable and much respected UK DVD label now owns the rights to The Killer, Bullet In The Head, Once A Thief and A Better Tomorrow II which were previously released on VHS under the UK distributor Made In The Hong Kong. Made In Hong Kong made quite a name for themselves in the UK home video market but strangely enough never venture into the DVD home video market. Hong Kong Legends on the other hand, has gone from strength to strength since starting on the DVD home video scene eighteen months ago. As with their previous outstanding releases, Hong Kong Legends promised to restore each film frame-by-frame as well as digitally remastering the mono soundtrack into proper 5.1 Dolby Stereo Surround. DVD buffs can expect the films to be presented in the best possible viewing format, namely 16x9 anamorphic widescreen and a host of extras to accompany the films. Naturally the trade-off to the deal will probably result in these scheduled DVDs not hitting the market so soon as these restoration process takes quite some time. 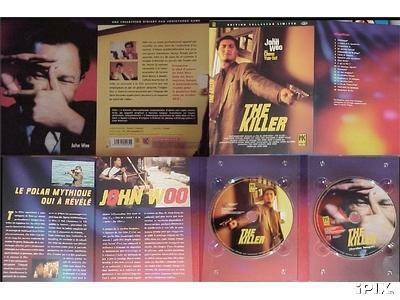 On a similar note, French DVD label HKVideo has just released The Killer on a double-disc limited edition DVD collector set. The first disc will feature the original cut of the film along with a making-of documentary featuring interviews with John Woo. The second disc will feature the Taiwan extended version of The Killer for the first time on DVD (probably the only time on DVD unless HKLegends decides to really spoil us Woo fanboys). Both versions of the film are presented in enhanced 16x9 anamorphic widescreen with the mandarin soundtrack naturally accompanying the Taiwan version. 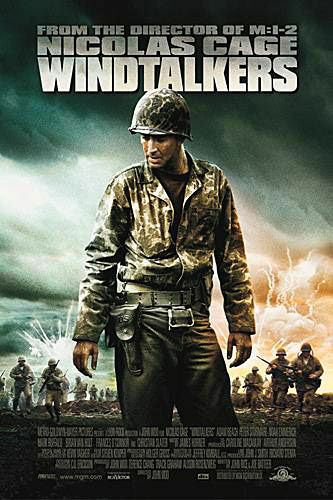 As Windtalkers comes closer to release date, the promotion of the film begins to kick in with a poster of the film already unveiled. 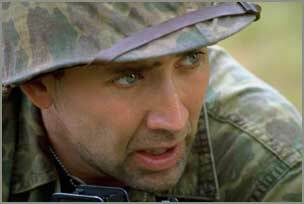 The official website is already in full-gear with a host of picture gallery on John Woo and Nicolas Cage working on the film. You can also a informative promotion reel on the shooting of the film plus exclusive interviews with producer Terence Chang.The film will mark another career milestone for John Woo as it�s the first Hollywood picture which he directs and produce, hopefully allowing him more creative freedom than his recent Hollywood films. The film is moving into post-production right now and will be release this fall. 23/03/2001: Hard Boiled DVD comparisons covered ! Finally, someone has made the effort and covered the four (or five if you count the inferior Tartan English version) Hard Boiled DVDs that were released. Bullets n'Babes DVDs compared the Hard Boiled DVDs and see how each stack up with one another. It's no surprise to see that the Criterion Collection remains the definitive version although it's unfair for them to dismiss it as a "poor version" as it's the best us Woo fans have right now. They sound a bit shallow when talking of John Woo films but they know their stuffs when it comes to DVD. For all you DVD fanatics,head over to the web site right now! According to Harrison Ford Online, John Woo is likely to be directing Harrison Ford in an up-coming film penned by Air Force One's writer Andrew Marlowe.Variety report that Warner Brothers Pictures will pay screenwriter Andrew Marlowe (Harrison Ford's "Air Force One") an upfront fee of $750,000 to pen an untitled project for Harrison Ford to topline and Mr. Woo to direct. In my personal opinion, I can't say I'm filled with as much excitement at the people at Harrison Ford Online. Don't get me wrong, Harrison Ford is a fine actor and all but Andrew Marlowe and Air Force One ? According to a recent interview with the man himself, John Woo he quoted that Air Force One was the worse film he saw in that year (while Shine was his favourite) simple because it was a typical American action film with plently of action and no character development. I myself didn't think Air Force One was all that amazing too especially with the fine talents of Gary Oldman and William Macey being wasted. Get Andrew Kevin Walker to pen the script (Seven and 8MM) and then I would really be filled with excitement! 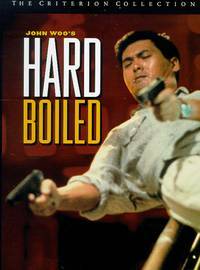 UK World Cinema Distributor Tartan Video who made less than a splash on the DVD scene last year wants to correct their mistake by re-releasing Hard Boiled on DVD. 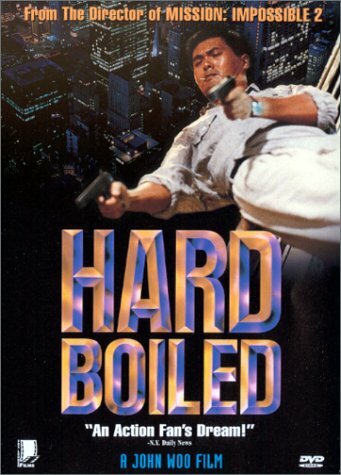 Tartan Video initially put Hard Boiled out on DVD last year but only include the dubbed english audio track. 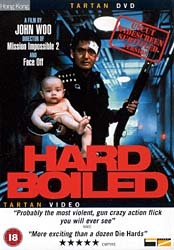 Now Tartan Video is going to remastered the film on DVD with the original cantonese audio track as well as restoring the scenes that were originally cut off the UK version (I have only seen the interview on the DVD as I couldn't bear sitting through an entire dubbed version of Hard Boiled so I can't comment on which scene is cut). Other extras available on the initial Tartan Video release will also be feature on the remastered version like the John Woo interview, stills gallery and interview transcripts with Chow Yun Fat and Tony Leung as well as a new uncut scene comparsion feature. The DVD is said to be presented in widescreen format(no word on anamorphic widescreen at the moment) and is region-coded 2. It remains to be seen whether the initial Tartan Video release is going to be out of print. The DVD is set for release on the 19th of March 2001 but you can pre-order the DVD at UK's top online store BlackStar.